Apple on Monday previewed a new set of emoji coming later this year to iOS, watchOS and macOS. Take a sneak peek at the more than 70 new characters you can expect to see on your Apple device in this video. In June 2018, the Unicode Consortium approved version 11.0 of Unicode, adding over 70 to the growing list of animated glyphs. Apple has now released what a subset of those emoji will look like on its devices. 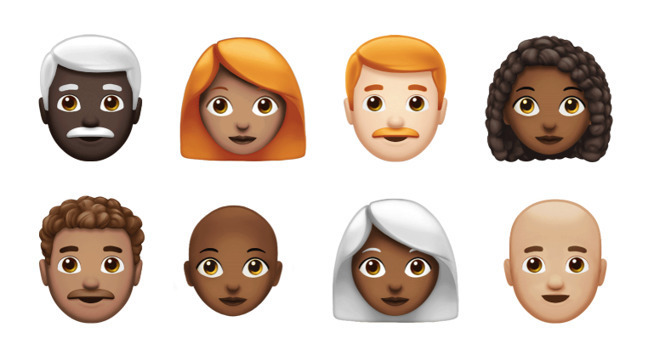 AppleInsider walks you through all the new emoji, how the different characters look with different skin tones, hairstyles, and hair colors, as well as all of the new animals, actions, foods, and more that are due for release later this year. Since Apple has only previewed a small portion of the new emoji, we also go through the other characters you can expect from Apple once the set is officially integrated. These new emoji may pop up as part of the major software updates slated for this fall (iOS 12, macOS Mojave, and watchOS 5), or if we are lucky, they may show up earlier.